It has been announced on Thursday by Turkish news outlets that the latest project of the much controversial Turkish business figure Fadıl Akgündüz, famously known by his nickname “Jet Fadıl”, has been cancelled. The Caprice Gold Maldives – Ebu Eyyub El Ensari House luxury resort project in the Maldives has been cancelled before construction has begun, whilst other partners in the project bringing allegations of fraudulent act at Akgündüz, saying he has deceited customers interested in purchasing timeshares in the project out of millions of dollars. Abdurrahman Akarsu Holding board chairman Abdurrahman Akarsu, who spoke to the Turizmde Bu Sabah (This Morning in Tourism) website earlier this week commented “Fifty percent of the parcels in the Maldives were mine, and the other 50 percent belonged to [Maldives firm] ADK Group owner Ahmed Nashid. I transferred my shares in the project to Fadıl Akgündüz, and we prepared a contract. From May until the 12th of this month he said he would pay me, but he has not done so. We have opened a lawsuit in Turkey and the agreement has been terminated,” Akarsu also added that Akgündüz had fraudulently collected $170 million from prospective timeshare customers. Also it was just last month Akgündüz got into hot water for telling timeshare buyers in a another failed project to find more customers and not ask when their investments would be returned. Construction on Akgündüz’s Caprice Gold Hotel timeshare project in İstanbul’s Bayrampaşa district was brought to a stop, and Akgündüz was previously fined by the Ministry of Customs and Trade in 2012 for engaging in biased competition after he advertised the hotel as a seven-star project. The ministry had been alerted by the Ministry of Culture and Tourism that no such variation existed. Akgündüz is known to have written in a letter to Caprice Gold timeshare buyers: “Do not call us. Do not ask when we can pay you. Wait for news from us, and find new customers so we will be able to pay you,” and claimed that last year’s Gezi events and the Dec. 17 corruption probe had hurt his business. 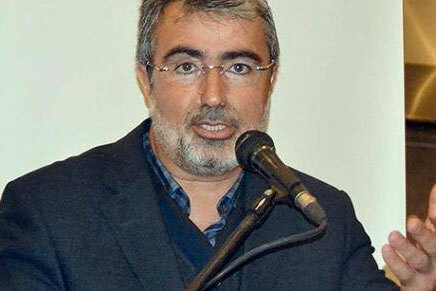 Akgündüz is known to be no stranger to legal trouble, having served a prison sentence between 2002-2004 for failing to deliver to investors on a project in which he intended to develop a Turkish-made automobile.